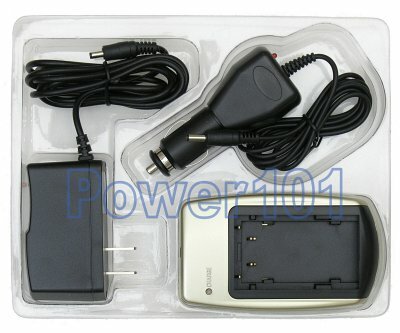 This is a standard generic charger for JVC BN-V408, BN-V416 and BN-V428 batteries. 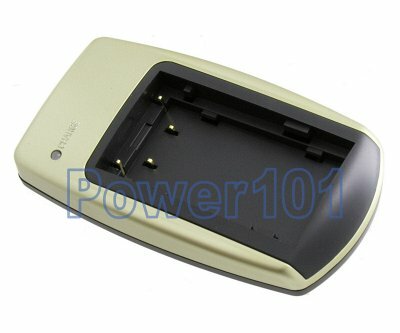 Also compatible with BN-V306 and BN-V312 batteries. It has fully-automatic charging circuitry with automatic shutoff when the battery is fully charged. This charger does not require multiple plates to charge either JVC BN-V408 / V416 / V428 or JVC BN-V306 / V312 batteries unlike some other multi-plated chargers. It is designed to fit all of these batteries right out of the box.